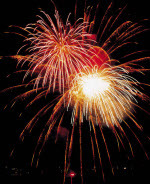 All WCCLS member libraries will be closed in observance of Independence Day on Wednesday, July 4th. Have a safe and happy 4th of July! As part of this year's Adult Summer Reading Program, WCCLS libraries are hosting bestselling mystery author Phillip Margolin. His last appearance as part of this program is Wednesday, June 27th at 7:00 pm, at the Forest Grove Library. Last week we launched WCCLS Mobile, a version of the WCCLS catalog and online account that is optimized for mobile devices. Find it at m.wccls.org. Depending on your mobile device, you may be getting automatically redirected to the mobile version of the catalog/accounts. Some people have been asking how they can access the full, desktop version of the catalog/account on their mobile device. We are happy to share that mobile-friendly access to the WCCLS catalog and online accounts is here! You will find WCCLS Mobile at m.wccls.org. It's June 1st, and that means it's the first day of Summer Reading in Washington County! Readers of all ages can sign up for summer fun at their local WCCLS library. Summer reading programs are available for kids, teens, and adults this year.